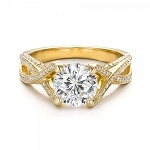 Select that historic day to say those words hidden in your heart with the extraordinary wedding and engagement rings. Then the day will come when the shying bride with blushing smile holds the committed hand. With all the unconditional promises, kisses, laugh and champagnes, a diamond wedding ring would be the perfect reminder of the magical moments. But how can I make her the queen of my life? 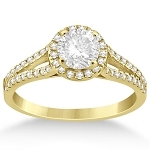 To love, comfort and keep her for the rest of my life, presenting a Engagement Wedding Rings can be so expensive? Wedding and Engagement Rings that fit perfectly together. Commit to forever with a diamond ring that will remain for the rest of your life. At Jewels queen, we know that a designer Wedding rings is one of the important purchases you may make, so our collection of wedding and engagement ring offer you with ethereal wedding bands, diamond wedding ring sets and designer engagement ring at unbelievable prices. Our selection of unique engagement rings and wedding rings is the rarest in quality cut, clarity and colour. Jewels Queen best wedding rings and wedding rings fuse classic, handcrafted elegance with modern sophistication and glamour. We never let you hesitate to fulfill your long lasting promise as we offer certified and carat jewelry in all shapes and sizes. 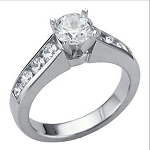 We have Diamond ring for Women & Diamond bands for Men. 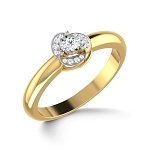 It is obvious that you want to give the gift of life to your lover and buying a quality based diamond online can be of great experience. Queen Jewels affordable range allow you to access colored engagement rings like black, white, brown, yellow and gold engagement ring. 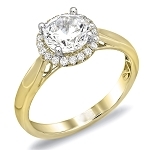 Also to symbolise your memorable day, we offer diamonds of 1 stone and 3 stone engagement ring. 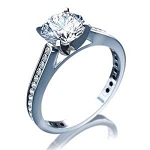 Whether you are looking for cushion cut diamond engagement rings, princess cut diamond rings or round diamond rings, choose one from our exquisitely refined diamond engagement rings. Shop our vast collection of wedding rings for men and women including a sparkling diamond wedding band sets or polished gold, white gold, brown, black diamond wedding rings. 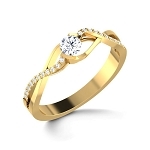 Diamond wedding ring sets for women perfectly coordinated customised engagement and wedding ring and band ensembles that will celebrate your romantic love story. 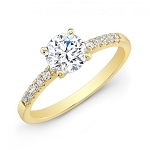 Say ‘I do’ with a stunning wedding ring either in solitaire style or gemstone ring style. Our men’s wedding bands and rings combine style, design, comfort and durability and easy to wear. Whether you go for any colour or cut, precision and quality is the key you will enjoy. The superlative beauty of Queen Jewels’ engagement and wedding diamonds abide by the strict quality standards of 4Cs that truly cherish you with the epic moment.